The AJA FS1-X Frame Synchronizer & Converter with MADI Audio features a comprehensive array of video and audio inputs/outputs for converting between a wide range of analog and digital signals. It comes in a rugged, 1RU chassis ideal for high-density application and packed machine rooms. 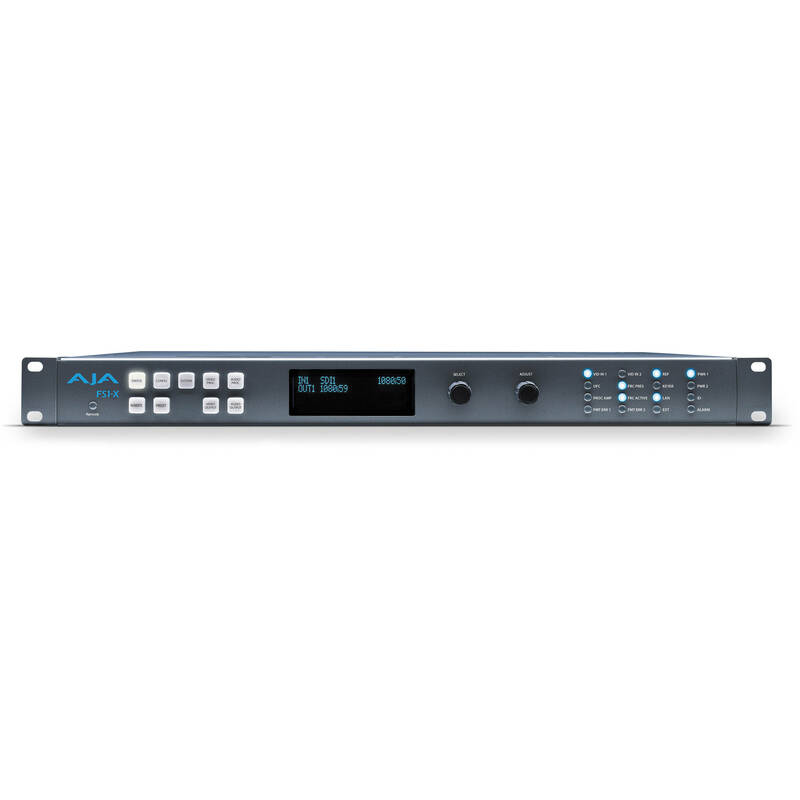 AJA offers an optional, factory-installed motion adaptive Frame Rate Converter (FRC) for creating high-quality conversions between different frame rate families for virtually unlimited international standards support. Box Dimensions (LxWxH) 21.4 x 18.8 x 7.7"